Cold beers and hot discussions about Java will be served at “Vitamin B” on April 9th at 19:00! 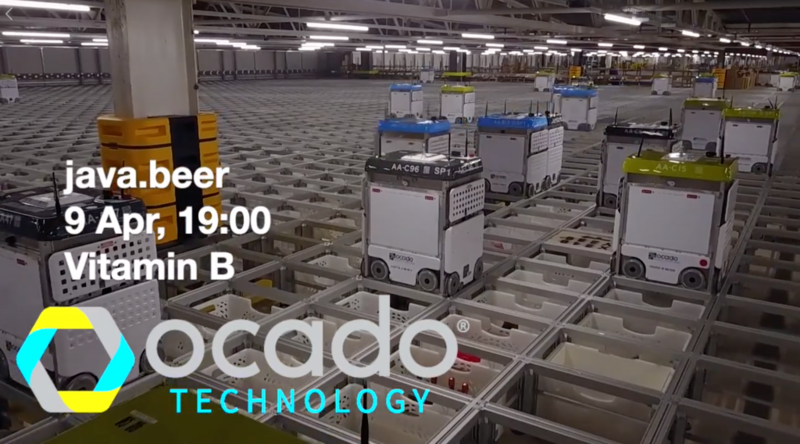 As a branch of Ocado Technology, our office is developing world-class innovative solutions in the areas of robotics, machine learning, simulation, data science, real-time control, and more. Products developed by us are currently used live not only by Ocado (biggest online only grocery store in the world), but also by clients in UK and Spain. We are also helping many other companies to adopt our technology – in USA, Canada, France, Sweden, Spain and most recently in Australia!